NEW YORK—Saying she liked to believe she’d be given some kind of warning, Melania Trump idly wondered Wednesday whether she would get a heads-up if a nuclear missile were headed toward New York. 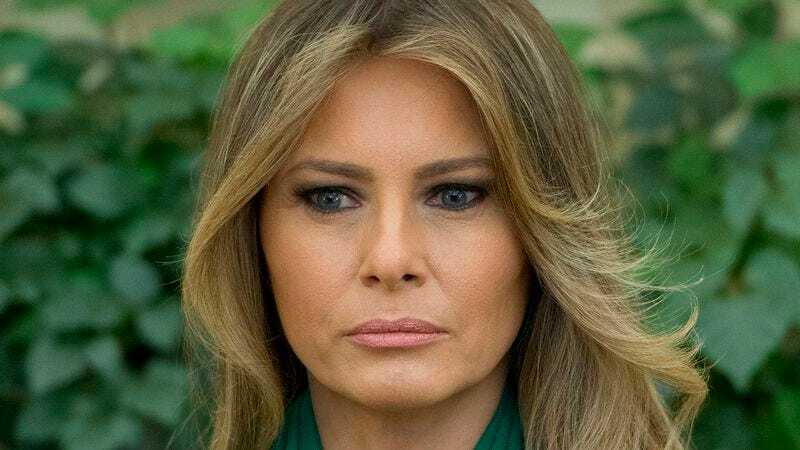 “You’d think I’d receive a phone call with some sort of instructions if they knew a nuclear warhead was on its way,” said the first lady, despite being unable to recall her husband or any officials ever mentioning the existence of an alert system or notification protocol. “Maybe they have a secret shelter somewhere, and they’ll just show up suddenly to evacuate me and Barron. If they knew I was in the direct path of a nuclear weapon, surely they’d at least contact me so I could emotionally prepare, right? If absolutely nothing else, Donald would call to say goodbye and tell me he loved me, wouldn’t he? I mean, wouldn’t he?” After pondering the scenarios for a few minutes, Melania decided that, on second thought, it was probably better if she didn’t know.